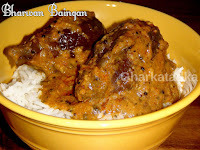 Bharwan Baingan (Stuffed Round Eggplant) is traditional Gujarati cooking. This is very easy to prepare and gives you unique taste of Gujarati Foods. 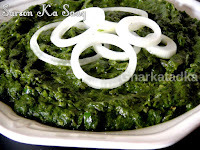 Sarson ka saag is a popular curry in Punjab, India. It is made from mustard leaves (sarson), spinach and spices. It is traditionally served with Makki ki roti (corn bread). 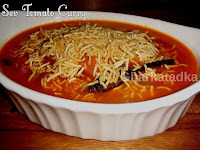 Sev Tomato Curry is the traditional dish of Gujarat. 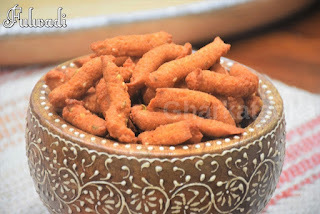 Its is quick and tasty made from cooked tomatoes tempered with spices and mixed with besan thin sev. It goes well with bajri rotla or wheat roti. 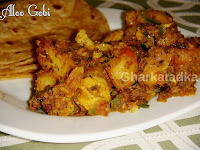 Aloo gobi is delicious dry subji made with potatoes, cauliflower and Indian spices. Preparing the Aloo gobi is quite simple and if you cook it with less oil It's become healthful low calorie, high fiber food. Kantola/Kankoda /Spine gourd is a seasonal vegetable and also is rarely available in the markets. Kankoda is very healthy vegetable due to its fiber and vitamins. Paneer Butter Masala is a traditional Punjabi recipe in which soft pieces of Paneer are cooked in rich creamy butter & tomato gravy. 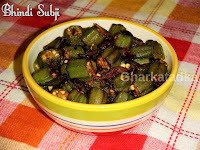 Cucumber subji is one of the easy and quick Rajasthani dish with minimal ingredients. Cucumber is generally associated with salads and raita, but here is the recipe of super delicious cucumber subji. 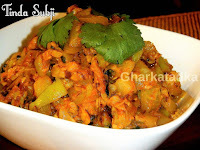 Suki bhaji is a seasoned potatoes dish made specifically for fasting. 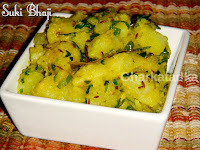 In this recipe, boiled potatoes are mixed with green chilies and spices. 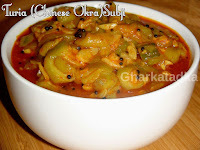 Turia/Chinese Okra/ridge gourd/Angled luffa gourd is a good source of dietary fiber. It is simple to prepare and tastes delicious. You can enjoy it very well with bajra roti. 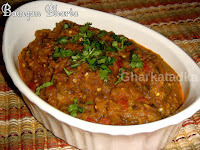 Baingan Bharata is a part of the national cuisines of both India and Pakistan. It’s creamy (without any cream), spicy, hearty and just plain delicious. Ringan papdi is Gujarati subji prepared with ringan (eggplant), papdi and various spices. Although this is Gujarati subji I made it without sugar because I want to enjoy original taste of papdi and eggplant. 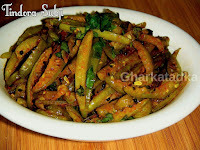 Today I will share another karela recipe from Gujarati cuisine. It is made from bitter gourd, spices, sugar, cashew nuts, and onions. 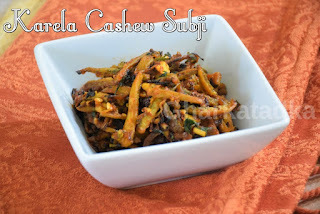 The cashew nuts gives a crunchy effect to the dish. Bottle gourd/Dudhi or lauki is the most healthy and versatile vegetable that can be used in preparing a variety of savory and sweet dishes. 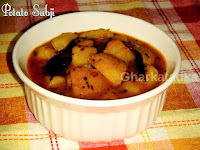 Potato subji is a most common dish in Indian cuisine. Every state has its own taste and variation and It can be made many different ways. 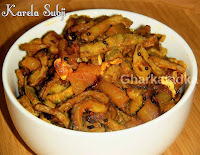 This is Gujarati style subji which is little spicy, tangy and sweet. 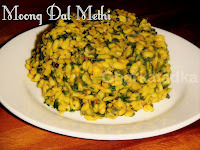 Moong dal methi is a great combination of dal and vegetables. Methi leaves go well with in any kind of dal, but when you make with moong dal its taste awesome. Peas eggplant curry is perfect side dish for lunch and dinner. Peas and eggplant is a nice combination with each other as peas sweet flavor compensate eggplant little bitterness. 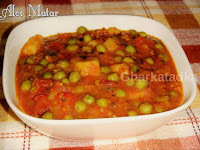 Aloo matar is classical Punjabi dish which goes very well with all Indian bread. There are so many variations of aloo matar, however here is my version of aloo matar which is very creamy in texture without adding any cream. 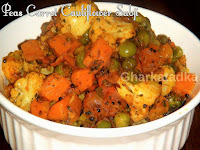 This is very colorful and flavored subji made with peas carrot and cauliflower. It is very simple yet very yummy. Kids would love this subji. Karela or Bitter melon or Bitter gourd has plenty of health benefits. Due to its bitterness properties people generally avoid eating it but with proper cooking, you can make it tasty. It is usually served with roti. 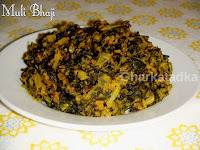 Muli bhaji is a made from muli (radish) leaves, gram flour, and spices. It is easy to make and taste great with wheat roti and raita. You can also eat this bhaji alone without roti. 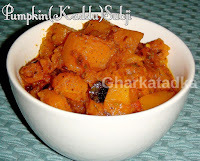 Pumpkin(Kaddu) subji is a sweet, sour and spicy dish. It is a very popular North Indian dish served with a puri, roti or any Indian flat bread. 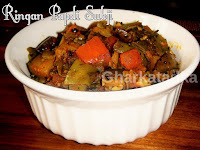 Eggplant subji taste delicious when it's made with olive oil. 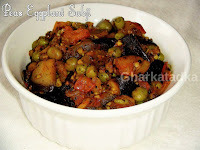 In this recipe eggplant shallow fried in olive oil with garlic and other spices. 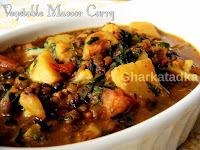 Vegetable masoor curry is 2 in 1 dish. 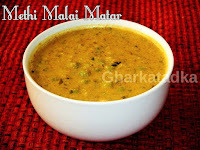 Instead of making dal and subji separately you can make this dish which is quite delicious and time saver. 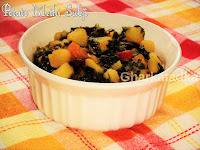 Potato methi Subji is little different from famous Punjabi aloo methi. Basically, this is simple recipe without onion garlic. In this subji we are using fresh methi leaves, tomato, and spices. This Gujarati curry is easy to make and yet very flavourful. Kala chana is rich source of protein, fiber, iron, and potassium. 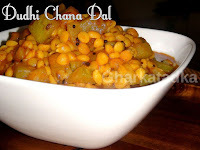 This Kala Chana curry actually goes very well with puri but it can also taste great with thin wheat paratha. 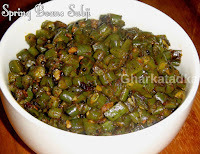 Bhindi subji is very simple and easy to make is also very healthy. This delightful recipe that has the spices melding wonderfully with the sauteed vegetables to bring out fabulous flavors. Tinda or round gourd is also known as apple gourd is very healthy and delicious. 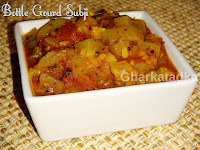 Garlic and onion add additional flavor to this subji. 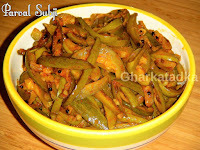 Spring beans or Green beans subji is very delicious and healthy. In this dish, spring beans cooked in very less oil with spices. 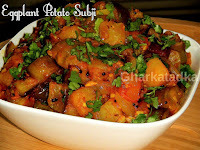 Eggplant potato subji is a very famous combination in Indian curries. Both together makes a perfect curry suit everybody's taste. In this curry onion and garlic flavor gives the great taste to the dish. Dudhi/Lauki/Bottle gourd is very healthy and excellent for a low-calorie diet. In Indian cooking, bottle gourd is often combined with various lentils to make wonderful dishes. 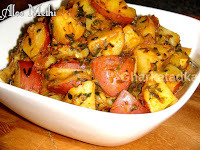 Aloo methi is a perfect combination of taste and health benefits. It is made from potatoes, methi leaves and spices. It can be served with roti or paratha. Parval or pointed gourd is the popular vegetable of the northern India. Parval has very buttery flavor and when spices mix in the subji it taste very delicious. 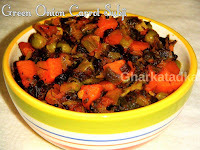 Naturally sweet vegetable like carrot gives delicious taste while green onion spiced up the subji. A combination of both with peas provides extra flavor to this bright dish. 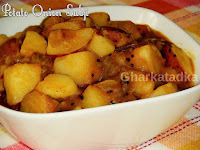 Potato onion subji is very easy and simple to make. Potatoes are rich in vitamin C, calcium, and Iron. Onion is a good source of dietary fiber, vitamin B6, folate, potassium, and vitamin C.
This tindora/ivy gourd recipe makes delicious subji with the minimal of ingredients and a flavor to die for. It is rich in beta-carotene and hence nutritious. It is also good for diabetics as it helps regulate the insulin metabolism. 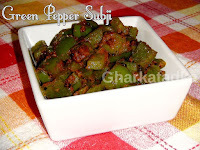 Green pepper or Simla mirch subji is a very flavorful and easy to cook. This recipe has a Gujarati touch to it, bringing back childhood memories of watching mom make this favorite vegetable for dinner. 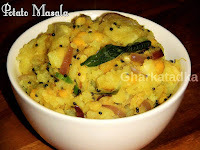 Potato masala is an excellent accompaniment to the south Indian meals. It is mainly used as masala for dosa. It is a popular south Indian dish also served with a puri, roti, or any Indian flat bread. Methi malai matar is a flavorful, creamy curry of North India.The leaves have a strong flavor and slightly bitter taste while green peas provide a little sweetness to the dish. 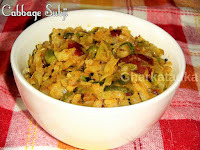 Cabbage subji is healthy and flavorful side dish. Cabbage is an excellent source of vitamins K, C, A, B6, dietary fiber, calcium, folate, thiamin, and potassium. 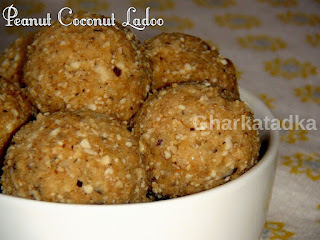 Peanut Coconut ladoo is a signature dish of my mom. Every winter she made this ladoo for me and my sister. You may call it the ‘energy bar’ of the olden days. It is made from peanuts, coconut, sesame seeds, ganthoda powder, ginger powder, ghee, and jaggery. 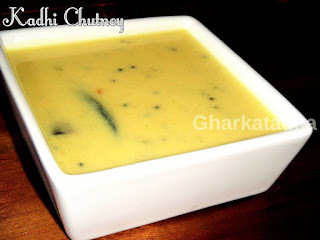 Kadhi chutney goes very well with famous Gujarati Fafda. It is also called Fafda chutney. It is made with besan, yogurt, and various spices. It gives a unique taste to the snacks like khaman, Chorafali, and Fafda. 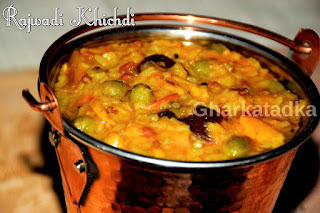 An amazing khichdi made from rice and toor dal. This khichdi made with desi ghee which gives a rich flavor and taste. Green peas, eggplant, potato, cashew nuts, and spices are used to add volume and flavoring to the khichdi. Enjoy this unique and rich khichdi with fresh yogurt. 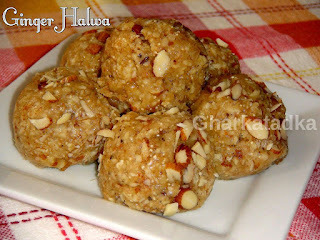 Ginger Halwa is made from a bunch of healthy ingredients, each ingredient in this dessert is associated with good health. Ginger is a wonder spice has numerous health benefits. In India, ginger is liberally used in daily life. Here is one delicious recipe for ginger which includes other healthy ingredients; almond, cashew, edible gum, poppy seeds, dry coconut, and jaggery. Fulwadi is a traditional Gujarati snack which is the perfect blend of sour, sweet and spicy taste. In old days it is very common in Gujarati marriages and other occasions. It is made from coarse chickpea flour, yogurt, sugar and lots of spices as main ingredients. It can be eaten alone or served with a hot cup of tea/ coffee. It also goes well with masala yogurt. 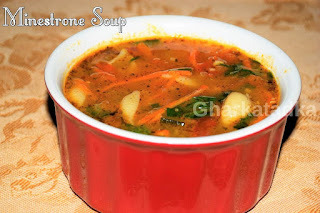 Minestrone soup is very filling and healthy and especially in winter, this soup is sure to warm your soul with its savory flavor and wonderful aroma. This hearty, popular Italian soup is packed with vegetables, beans, and pasta, this soup is a meal in itself.